First let me mention that after leaving the Oscuro Hostel, I had planned on going to the Route 66 Hostel in Albuquerque. Well, I made it there, but it was a little too crowded for me. It wasn't overcrowded, just a little more crowded than I prefer. The manager was very good about it. 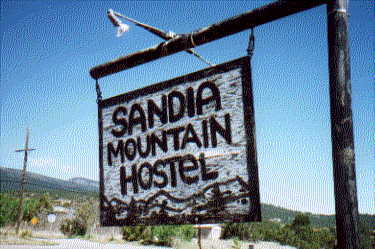 He gave me a refund and told me about the Sandia Hostel located in the mountains not far from there. Now that sounded more like my kind of place. 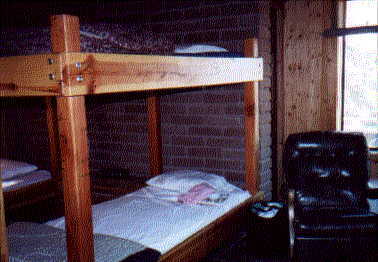 A little while later I was sitting on one on the big bunk beds in front of an huge open window at the Sandia Mountain Hostel. Above: Here's my big bottom bunk right next to the huge open window--with a cool wind blowing in! 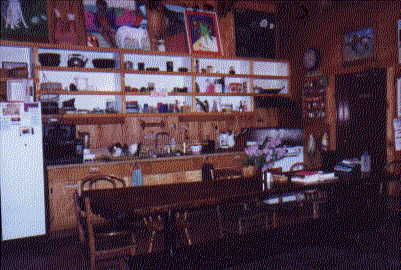 In the Sandia Mountain Hostel. 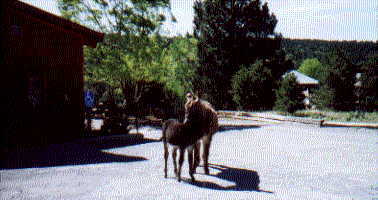 Left: Resident burros: Chiquita & Matilda. The manager warned me to keep my car windows closed because the burros like to reach inside and drag out anything they can. 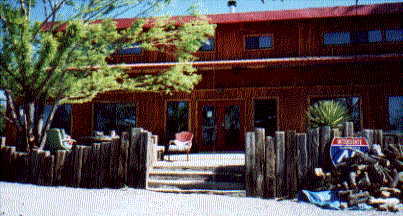 Sandia Hostel was extremely clean and neat. Bathrooms were large and spotless. The owners were friendly. 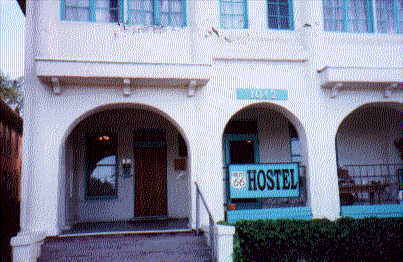 I ended up returning to the Sandia Hostel during my second road trip the following year.